Public relations, or PR, is a broad term referring to a member of the marketing family which regards the process of managing your communication and relationships with members of the public or potential business prospects. It involves raising brand awareness and building, maintaining or even at times repairing, a business’ reputation. It requires manipulating influencers of your target audience through various forms of digital and offline methods. Public relations has a strong link to the media and achieving positive press coverage, but that is just one part of it. Public relations can be visible in many forms and has arguably been credited based on impressions and reach of coverage. Its results can be criticised as empty metrics because ‘reputation’, brand strength’ ….etc, can be accused of being meaningless phrases and because there is no concrete, physical evidence of their existence. 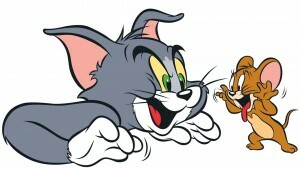 However, now advanced digital tracking and analytics intelligence can give a far better indicator of its effectiveness. 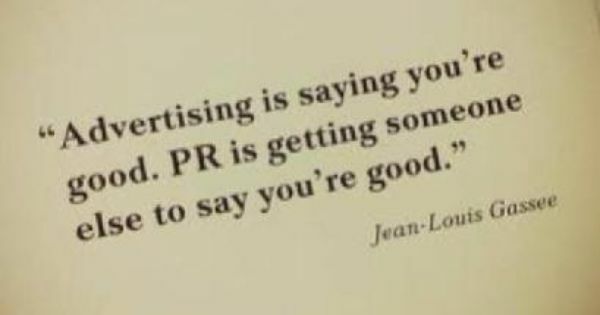 Meaning if performed correctly, PR can have massive results on your short and long-term goals as a business. Public relations can be looked upon to some extent as creating advertising opportunities for your business. But It differentiates because publicity is more powerful than advertising - as it is unbiased and impartial. Advertisements, effective placement as they may be, lack further effectiveness because they are limited, paid for and therefore psychologically not as impressive, convincing or as reliable. But with PR, rather than you saying that you are good, it is all about getting others to say that you are good. Making the influencers influence people into making a well-informed and educated decision - not being sold to. PR in the consumer world involves a free reign of creativity to raise awareness and coverage with very few rules or norms. As you will see here with these outside of the box ideas. 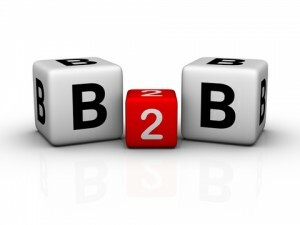 However, for the B2B sector, it is a far-less extravagant procedure. But equally as important. It has been believed by many in B2B that PR has no place. The first thing which you need to do is establish who your target audience is. Hopefully, within your wider marketing strategy this has already been achieved. Until you have done this, you cannot target your PR approach, and it will be time wasted, generating exposure for the wrong eyes. Create an initial media list where you log journalists and bloggers of publications you want to target. Gorkana is an amazing database for PR professionals, where you can access regularly-updated information from media titles with contact details, emails and opportunities. You can filter a search and export the data to an excel spreadsheet to get you started. It may also show how and when people like to be contacted. Another cool feature is that Gorkana will show you the circulation or unique monthly visitors of the publication. This provides useful insight to the amount of effort you should spend attempting to feature in one place compared to another - as a return on time investment. If Gorkana does not have that data available then Statshow is another resource where you can search the URL and it will give you an estimated figure, for online only. Gathering the potential reach statistics may not be the ultimate element of your campaign but it is a nice measure to show as a return on your work. But you should be able to provide more specific evidence than this. The main thing is that this preparation drives the direction of your PR strategy. Press releases are a written alert which you can send out to relevant parties informing them of information you want projected. They are the bread and butter of public relations and a tool which you can use to communicate with journalists and influencers to open the door to the exposure. On a whole, journalists do not have a lot of time as they are busy meeting their deadlines. So it is imperative that you are direct and straight to the point. Make sure the content you want them to use is there, and easily accessible. Always end by saying please feel free to contact for further information. Here is a useful guide on how to write a successful press release. You may also like to use a platform such as Prezly which enhances the storytelling of your brand. It will customise your story with the selected media to maximise its full potential and get noticed. But if not, a pre-prepared, concise E-shot of what you want to get across is a great idea to include. With clear images and brief lines of the important points. Make sure they are attractive but not overly complex to digest - so that journalists can absorb them on the go. It is also something which you can blast out in order to achieve a ‘quick win’. If you would like to share this article and help some friends out to build their traffic, I kindly ask you to click the retweet button below. One technique used by PR’s is to offer the image to go with the text in low resolution, so to instigate the journalist to respond asking for the full resolution version for use in publish. But this will vary depending on the size of the publication and the quality of your story as to whether you can play a ‘give and take’ game. 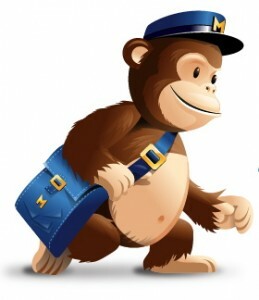 A brilliant tool for improving the organisation of sending out your press releases would be to use an email service such as MailChimp. A great feature is being able to see if your emails have been opened or not. You can then identify when and how to approach for a follow-up. The most recognisable form of PR is gaining press coverage, but for some businesses, especially in the B2B sector it may at first appear quite a difficult task to find a newsworthy angle for your company. But be creative, there is always a way. Anniversaries are a fantastic way to make the news. Create a spreadsheet where you can note down five or six topics related to your industry. Research and make notes of anniversaries of something to do with them. Then set reminders with plenty of time to plan, perform and pitch your story. This can also be used with national days which you can link to your business. You can piggyback on to them to gain exposure for a campaign. Check out Days of the year for some ideas! The anniversary or national day is an eye-catching subject line which grabs the journalist’s attention and they may be on the look out to fill something for a 'moment in time' piece. If your story can incorporate an interesting and eye-catching photo then it will have a greater chance of making it to the final cut. It adds value to the overall strength of a story and could put it ahead of something else when the editor has to make their choice. Survey-led media stories are a creative way for B2B businesses to generate coverage. Everybody loves a stat. It is a very consumable source of content. Companies such as 72 Point will do the research for you, once you have come up with the theme you want your statistics to be based around. You can then outreach the data collected, branded as ‘according to YOUR COMPANY NAME...’ It is a creative way to get your name in the media. 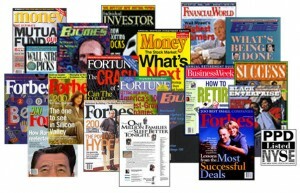 Alternatively to news stories, you can look to get your business featured. There are many opportunities where journalists will be looking to write about new, innovative or unique companies/products/services. Getting featured in a magazine, pullout or online publication could be a major deal for your business’ reputation long-term or even to generate short-term leads. It is all about letting them know that you are there and want to be written about. It is very rare that journalists will come to you. So you need to make the first move, be proactive and a pest to them, constantly. Forward features lists are an available resource which you can access to find out when a publication plans to run a piece on a certain topic. You can identify the opportunities in advance and plan ahead to give you the best chance to win the coverage. Many publications have these available on their site but you can always make a call to ensure it is up to date or there if there is anything else which they are looking for. 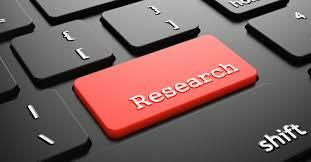 There are tools such as ‘help a reporter’ which are mutually beneficial for both parties. One looking for a story and one looking to be or supply the story. A great daily strategy would be to, first thing in the morning, take twenty-minutes and observe the internet and relevant media titles for stories and features which are currently being written about on similar topics surrounding your company. Look out for weekly/monthly features as well as news stories to expand on. If there are a number of you, allocate a publication to each person for the week and rotate so everybody can grow their knowledge of different media outlets and who writes about what. Then share a brief email of the findings each morning to keep everybody in the loop. Make note of the journalist, and story style so you can angle your press release/pitch to that style. Regularly tweet from the company account about a story which your targeted journalist has written. Sweeten him/her up. Let them know who you are and make them aware of your presence so that when the time is right and you want to approach them, they will be familiar. Set up Google Alerts for keywords so you can discover who is writing about what. Tracking news alerts from IFTTT could also be a well worth applying to your procedure. Always have a member of your senior staff available for media comment on a relevant news issue. It can be a great way to publicise your business for free. If a story breaks in the morning which your business can offer an expert opinion on, be ready and let them know. Send a press release or even be prepared to be interviewed by a broadcasting publication for extensive coverage. A key tip in this situation is having a media trained personality as you don’t want to come across negatively, having an adverse effect on the company. This can also be described as 'news hijacking' - jumping on a story which is related to you and adding value, offering an alternative viewpoint, or expertise. You can also do this on social media. If your press releases are failing to reach your desired target, then it may come to the point where you need to pick up the phone and look to speak with a journalist directly. You may even set this in place as a follow-up procedure to all of your emailed press releases. The phone can be an effective tool for you in manipulating the call to go your way. Be sure to 'own the conversation' and ensure a positive outcome. Yes, you will receive negative responses to your greetings at times, but when you need coverage urgently, you cannot just sit there waiting for a response. You must be pro-active to go and get one. Here is a guide to cold-calling which may be useful. Face-to-face communication is a back-to-basics method, but it is PR in its rawest form, and can be heavily effective. It is all about networking and creating new contacts. Go to events. Imagine a world before social media where people actually had to speak to each other. Where better than to make new contacts and potentially new clients than by attending a B2B marketing expo. Or why not even exhibit. A chance to talk directly to real people, there are no hiding places, emails, voicemails or social accounts. With experienced speakers and masterclasses it is a brilliant opportunity to learn something new as well as meeting a new circle of contacts. There will also be more specific expo’s and events to your own specific B2B industry. Conferences are also a good form of event to attend again for networking and learning purposes. All conferences will involve a chance to ask questions and integrate with other attendees for drinks and snacks. They are more specific and targeted, usually held by large companies and their experts. Here are some of the best conferences of 2015. Everybody loves food and alcohol. Especially if it’s free. So if you are based in an area with potential clients or journalists in realistic commuting distance, organise a light-hearted gathering. Here the work guard will be down and you can build informal relationships which could go far. Just imagine two weeks down the line when you make that call and break the ice by mentioning how much of an enjoyable night they had with you. PR is an opportunity where you can mingle and need to be naturally sociable to maximise it to the fullest. The world of technology has changed the PR industry. So much is now consumed online through social media on phones and tablets rather than hard copy magazines and newspapers. Though offline still certainly has a part to play, online is now huge. And this is where PR can overlap with digital marketing. I would recommend to check out this blog post for some Free Online Marketing Tools list to Win at Digital Marketing. It is well-known that video is the best consumed form of content on the internet. So coming up with a way to get your B2B company on video can be a ticket to vast exposure. Vloggers are all the rage these days. Racking up thousands of views on their YouTube channels. If you can research and Identify a group of vloggers or a specific channel which specialises in talking about your industry, where your target audience are going for advice and information, then getting featured could have a powerful influence towards you. It can also drive a direct link straight to your website. When possible, provide a Bitly link which you have created so you can track the effectiveness of that piece of coverage. We make no end of these links every day to track progress of all different approaches and we couldn't live without them. The beauty of video is that it is accessible, shareable, measurable, emotional and has viral potential. Your business blog can go a long way to creating a positive impression of yourself. Providing regular written articles relating to the industry, offering tips, advice and expertise, you will be regarded as a reliable and trustworthy source. Content marketing is a long-term strategy, but it can provide great exposure through SEO and social. You can offer to guest post on other people’s blogs to expand your wings. But what is most important is that you PR your blog. Here is a piece which outlines how to gain exposure. It is all about identifying key influencers to share your posts. 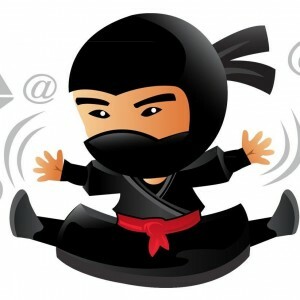 Ninja Outreach is an elite platform for this where you can search for similar articles and social prospects. It is a great database to manage and create new contacts which can be the catalyst to your written content blowing up. If you have a larger budget and can guarantee a ROI then you could outsource your public relations process to a professional agency who are fully-trained in providing elite services for your business. Agencies such as OneChocolate Communications, an award-winning B2B digital marketing and PR specialist with offices in London, Paris, Munich and San Francisco. They can provide the brains, strategy and experience for you to meet the pre-established targets you require. You can either enter a short-term contract for a specific campaign or hand over full control in a retainer agreement depending on your circumstances and goals.